You have no excuse for staying home during Holy Week and Easter! The Riviera Nayarit wants your vacations to be unforgettable with Seasonal Offers that go live from Friday, April 5 through May 2, 2019 that include promotions from 23 hotels associated with the destination. Participating hotels from Nuevo Vallarta, Flamingos, Bucerías, La Cruz de Huanacaxtle, Punta de Mita, and Rincón de Guayabitos are offering rates from $2,700 MXN and discounts from 20% up to 54%, free amenities, and much more. This promotional event is organized by the Bahía de Banderas Hotel and Motel Association (AHMBB and the Riviera Nayarit Convention and Visitors Bureau (CVB) to incentivize tourism during this holiday period, one of most important for domestic travelers. • Free calls to the U.S. and Canada • Pet-friendly hotels • Up to 3 children stay free • $50 USD in resort credits • Free WiFi • Unlimited calls in Mexico and to the United States and Canada • Unlimited all-inclusive • Unlimited rounds of golf • Theme nights • Pillow menus • Free babysitting for 8 hours with a minimum stay of 5 nights • 3 and 6 months with no interest. 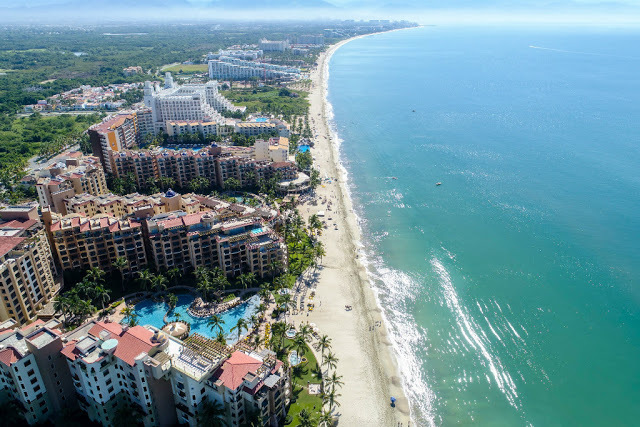 In Nuevo Vallarta and Flamingos: Dreams Villamagna; Grand Velas Riviera Nayarit; Hard Rock Hotel Vallarta; Marina Banderas; Marival Residences; Marival Emotions Resort; Occidental Nuevo Vallarta; Ocean Breeze; Paradise Village; Riu Palace Pacífico; Riu Vallarta; Samba Vallarta; Las Palomas Nuevo Vallarta; Villa del Palmar Flamingos; Villa La Estancia. Bucerías: Royal Decameron Complex; Vista Vallarta. La Cruz de Huanacaxtle: B Nayar; Matlali; Vallarta Gardens. Punta de Mita and Higuera Blanca: Rancho Banderas; Imanta Resort. Rincón de Guayabitos: Las Cabañas del Capitán. For ten years he was beaten; every single day kids slapped, kicked, punched and called him names. On the last day of school, while walking alone, six boys jumped out of bushes. They were about to attack Fred. “This stops now!” Fred fumed and for the first time ever, he fought back. His rage was furious and as a result, he pummelled all six boys. The next year, when returning to school, Fred discovered that fighting back had garnered him a new level of respect. No one bullied him and everyone left him alone. Despite this new found peace, Fred was still angry. He intuitively knew he was ‘different’ but could not pinpoint exactly why. Carrying on with his life, Fred met and fell head over heels in love with his wife, selling his beloved pick-up truck to buy her an engagement ring. They married and had one child, a daughter. Fred worked many jobs: he was a truck driver hauling logs, a cook/chef and a heavy-duty equipment operator. Eventually, as he grew tired of his destructive lifestyle, he took up painting. But isn’t this a story about Francine, you might be wondering? Once, while his wife was out running errands, Fred was busy putting away the laundry. He picked up a ‘delightful to the touch’ dress and decided to try it on. As he pulled it over his head, he felt shivers run throughout his body. “It was better than any drug for me,” he said. When she came out to her daughter she replied with: “Like I never saw that coming!” When her daughter was engaged to be married, Francine told her: “I guess I will have to revert back to being Fred if I want to walk you down the aisle as father of the bride.” The daughters’ response, “What?! NO! You are now Francine and will walk with me as Francine!” On the day of the wedding, both Francine and her daughter walked down the aisle with both faces beaming with happiness and pride. Today at many charity fundraisers you will likely see a Francine Peters painting donated. Silent auctions for her paintings bring in a healthy amount of money; money which Francine admits she could most certainly use. Despite living peso to peso and barely “making ends meet,” Francine prefers to help others; after all, people helped her and she wants to pay it forward. Francine Peters passed away this past weekend. A memorial celebration is arranged for Thursday, April 4 at 6:30 pm at Langostino’s in Old Town. A week on the Sea of Cortez, ‘the world’s aquarium’. Posted on February 9, 2019 Author Todd BatesCategories Environment, Life Style, Mexico, TravelTags environment, Life Style, Mexico, TravelLeave a comment on A week on the Sea of Cortez, ‘the world’s aquarium’. Editor’s Note: Roadtrip Otra Vez! This past weekend I took to the road (again) under the guise of research and headed north to the small town of Chacala, the last beach town before you drive into the mountains, on your way to Compostela. It’s a fishing village that has grown in recent years to become a lively tourist destination. On the weekends the beachfront restaurants are packed with families enjoying freshly caught seafood and playing in the surf. The beach is flat and the gentle waves shallow, perfect for small kids and those who don’t want to get their hair wet. The water is so calm that there are paddleboarders in the bay, even in the later afternoon. A couple of sailboats are moored offshore, and colourful fishing pangas line the pier just off the main beach. It’s ridiculously idyllic. And affordable. Looking like a scene out of an advertisement for a tropical dream vacation, the palapa roofs and swaying palm trees inspire you to imagine a simpler life. And by the looks of the crowd, there are a fair number of people who have settled in Chacala, at least for the winter, living exactly this life. If you know me, you know I gauge how much I like a place by how much I want to pack everything and move immediately. I loved Chacala so much I messaged a friend and asked her to help find me a long term rental… maybe this is the big move my horoscope is warning me about. If you have a chance to visit this village, I highly recommend it. 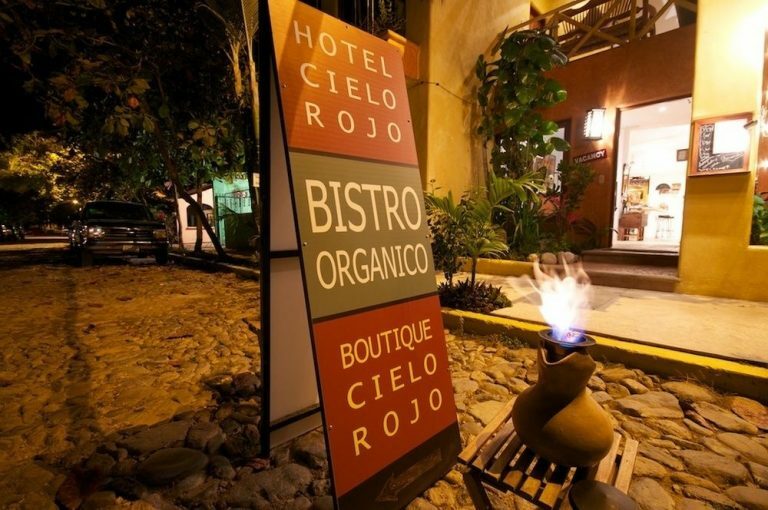 There are many rooms on Airbnb and a dozen or so hotels with rooms that start at $400 pesos for double occupancy (I suggest splurging on the 800 peso rooms). There were vacancies in most places I enquired at, so as long as it’s not a major holiday or a long weekend, you can probably show up and find a room easily. There are plenty of restaurants and a couple of small grocery stores. Pack a bathing suit, and you’re good to go! Now, if you’re not up for a road trip this weekend, there are plenty of great events happening around the bay including all the live music venues which you can check out here. This week is also the 8th Annual International Charro Championship in Arena Vallarta. This high-energy 5-day event is the highlight of rodeo aficionados and features some of the best horsemen (and women) from Mexico and the United States. Charro is recognized as an Intangible Cultural Heritage of Humanity by UNESCO and is an intrinsic part of Jalisco and Mexican culture. You can learn more about the events at www.arenavallarta.com. Look for details on how to travel by bus from Vallarta and Nayarit to the arena in these pages. This past week was the final week of voting for the 2nd Annual Best of Vallarta Reader’s Choice Awards. 1000’s of votes were cast and will now be compiled, and the winners for 2019 will be announced in a couple weeks. Hopefully, you’ve had a chance to vote and to read the ‘Best of’ guide we published this month. Copies have been distributed to over 100 points around the bay – be sure to pick up yours before they’re all gone! Stay tuned for more info. Thank you to everyone who has participated this year – it is much appreciated! Posted on February 6, 2019 Author Todd BatesCategories Community Information, Food, Life Style, Mexico, TravelTags Community Information, Food, Life Style, Mexico, TravelLeave a comment on Editor’s Note: Roadtrip Otra Vez! 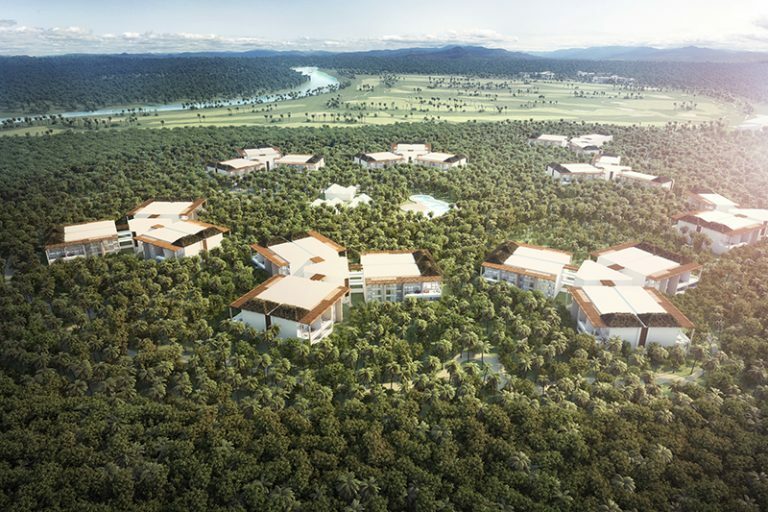 Grupo Vidanta, the leading resort and tourism developer in Mexico and Latin America, announced today the introduction of The Estates, a one-of-its-kind luxury development to debut at Vidanta Nuevo Vallarta and Vidanta Riviera Maya, two of the company’s seven resort portfolio destinations. Formerly under the name of ‘Jungle Estates,’ The Estates plays a significant role in Grupo Vidanta’s ongoing goal to offer the most exclusive and high-end tourism projects in all Latin America. With an initial presence in Vidanta Nuevo Vallarta and Vidanta Riviera Maya, The Estates will be Vidanta’s -Grupo Vidanta’s luxury vacationing brand- premier resort offering, boasting ultra-luxury opulence thanks to high-end details, plush amenities and lavish vacation experiences. One of the key distinguishing factors of these sumptuous new units is that they offer a private sanctuary designed to honor and reflect the sweeping beauty of the natural landscapes that surround them. The Estates will be located in picturesque, nature-filled settings at Nuevo Vallarta and Riviera Maya resorts, and will be available in sumptuous one-, two- and four-bedroom surpassing space configurations. Boasting an indoor-outdoor al fresco design to take full advantage of the breathtaking surrounding landscape at each location, all three of The Estates accommodations will be thoughtfully designed with modern touches while embracing the unique cultures of both coastal destinations. Guests will enjoy spacious living and dining room spaces, elegant spa-inspired bathrooms, secluded terraces and a private outdoor pool and lounge area. Model units will be available for guests to tour later this year. This spectacular, new class of luxury accommodations perfectly complements the markedly unique and high-end experiences and offerings of both locations, including the renowned Norman Signature Golf Course, Almaverde farm, and Santuario entertainment plaza at Vidanta Nuevo Vallarta and the acclaimed Cirque du Soleil show, JOYÀ, The Beach Club, and Salum Beachside Eateries and Market at Vidanta Riviera Maya. The Estates will provide an exclusive paradise for those who crave personalized, curated and extravagant travel experiences.